Part II, Divorcing in Missouri? Be aware of 7 Common Financial Mistakes. In our previous blog entry we addressed the risks involved with failing to be informed about your financial circumstances, not being prepared to provide for your financial necessities in the early stages of the divorce process and the financial damage that can be done by using the divorce process as a means to seek revenge against your spouse. In Part 2 we address failing to budget, lacking an understanding of your retirement plans, failing to consider future needs against your existing desires and not adequately considering which assets have a present financial value and those assets with a monetary value only accessible in the future. If you are relying upon two incomes to sustain your current lifestyle or if you are reliant upon your spouse to provide for your lifestyle, you need to recognize that you may likely not be able to afford the same lifestyle, residence, vehicle expenses, club memberships or consumer spending as before the divorce. The sooner you create a budget and obtain realistic expectations the better. Your attorney is not your financial adviser and should not be solely relied upon to help you budget for your future. If you are uncertain about your financial future you should seek the advice of a trusted personal financial adviser. Choosing a financial adviser is not dissimilar to choosing any other professional. It is important to find the right fit. If you have a list of advisers who have a good reputation you should interview them and determine how they are compensated. Once you find an adviser that you are comfortable with he or she can help you to create a budget for your realistic expenses and assist you in creating plan to provide for your future financial security. Not every retirement plan is equally created. In determining what is an “equitable” division, it is often not as simple as comparing values on your most recent statements and dividing them in a manner that each spouse has approximately the same comparative total that appears on those statements. In the division of your assets it is important that you have a good understanding of your investment accounts and work related retirement plans accumulated by you and your spouse. It is important to know which of your plans have a present cash value, when you can expect to have access to your retirement funds, under what penalties or taxes will the assets be subject to when they are accessed by you and if your spouse should predecease you how will that effect your ability to access your interest in the retirement asset awarded to you in your divorce. Once you have working knowledge of the nature and value of your plans, you should sit down with a financial adviser to have all of your questions answered. 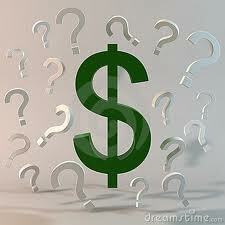 You should formulate a plan that will best assist you in providing for immediate and future financial needs. That plan should then be communicated to your lawyer who can discuss with you the best way to accomplish your objectives through the divorce process. When discussing your objectives with your lawyer, it is important that you take a realistic approach and consider what assets in your divorce are not only obtainable but are maintainable based upon your anticipated income level from employment, maintenance, child support or retirement assets. For example if your house or vehicle has a high revolving debt obligation in the form of a large mortgage, line of credit or a large car loan, taking on the short term satisfaction of being awarded these assets may soon turn into a financial burden which can have consequences that undermine your long-term financial stability. Discuss with your financial adviser if taking on the financial obligation that may come with the award of certain property fits your financial objectives. 7. Not considering the difference between the present value of assets to you against the value of future assets. Consider whether you will have a short term necessity to access funds from marital property to assist you in obtaining a suitable residence or other short-term, necessary objectives. If your main objective is securing a large interest in an asset from which you may not be able access the financial benefits for multiple years, such as a pension, this could come at the cost of sacrificing other assets to your spouse which could be relied upon to help you meet your financial obligations immediately after your divorce. Making the right decisions to protect you financially can be a complicated matter. However, these decisions will become much less complicated if you take steps to educate yourself on the assets and liabilities that exist in your marriage and seek professional financial advice from someone who can assist you in planning for your future based upon the nature of those financial assets and liabilities. As part of your plan it is important to select an experienced family law attorney who will take the necessary legal steps to achieve your financial goals.